Insulation products can be ordered directly from Soundown, and will be effective in their own ways at reducing noises polluting your vessel. These products work best when treated as part of an overall solution that allows them to work harmoniously. How a set of insulation products will work together as a system varies based on a number of factors, including budget and what the vessels are used for. The biggest single determinant is the type of vessel, so we’ve laid out common approaches and treatment combinations by vessel type here. Solutions For Your Vessel What follows is a list of recommended insulation products available from Soundown. 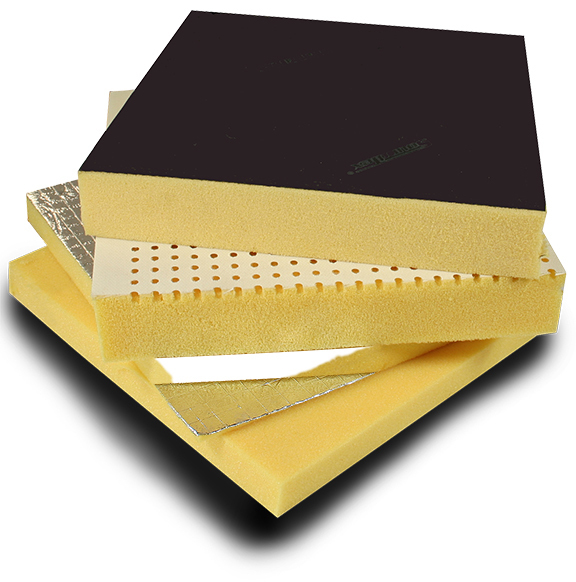 Specifications Soundown LCF Polyimide Foam is an engineered flexible foam insulation for acoustic and thermal applications. The extreme light weight and highly fire resistant nature of Polyimide foam makes it ideal for a range of applications. Industrial Specifications Architectural Specifications Soundown's TuffMass is a specially developed, mass-loaded vinyl (MLV) product offering superior acoustic transmission loss combined with good damping properties. Available in surface densities of 1/2, 1, 1.5, and 2lbs/ft2, TuffMass is suitable for use in all types of construction and offers STC ratings up to 32. Specifications Promaguard from Soundown is a new concept in passive structural fire protection that uses microporous insulation technology. Thanks to its exclusive engineered mineral matrix, Promaguard provides IMO A ratings in extremely low thickness when compared to traditional fiber materials. 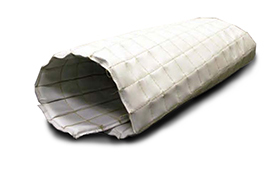 Specifications Soundown’s QuietLag acoustic pipe and duct wrap material consists of a fiberglass decoupling layer and TuffMass barrier with reinforced facing. By decoupling the barrier from the pipe or duct, this product will greatly reduce noise radiated from plumbing, HVAC ducting, and a range of other sources.